Today I’m sharing some of my favorite crochet ideas for the summer. The summer is usually the time when people are busy with other things; like going to the beach, going away on vacations and simply enjoying the lovely weather. 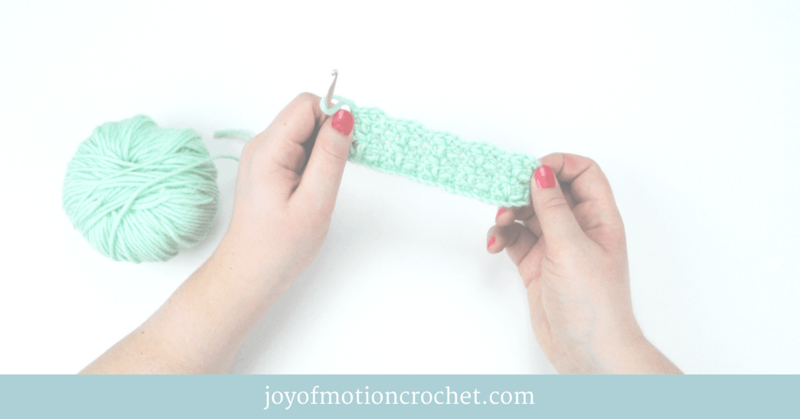 However – there’s no reason why you should skip making a lovely summer crochet project! For me the first priority when making a summer project is a nice & soft cotton yarn. 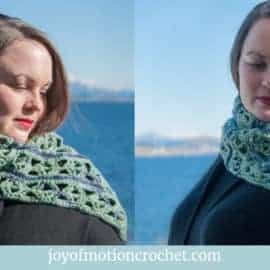 This makes it much more comfortable to crochet in hot weather – rather than really warm wool. It makes sense right?! But I have to admit that I would consider making a few of these ideas in a warmer yarn for other seasons too. 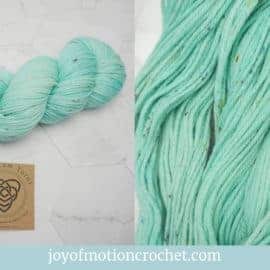 Before I start sharing all the summer crochet ideas, I’d like to also share some ideas from other seasons with you. 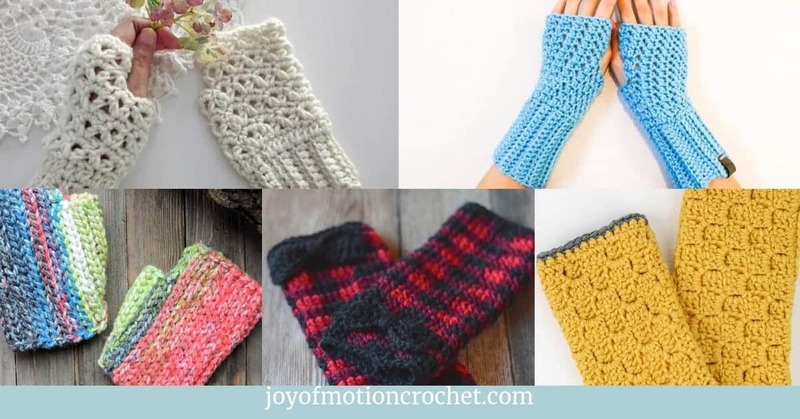 I’ve made a list of related articles featuring crochet pattern ideas from all seasons. Just open them in a new tab to read later befor you start deciding what to make from the summer crochet ideas list. 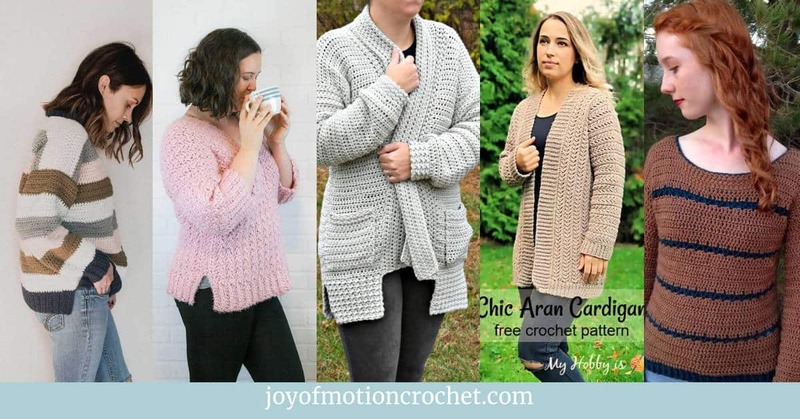 7 Fall Crochet Patterns That Keeps You Warm. 8 Fall Crochet Ideas That Will Get You Excited to Create. 7 Winter Crochet Ideas That Will Make Awesome Gifts. 5 Valentine’s Crochet Patterns in the Spirit of Love. 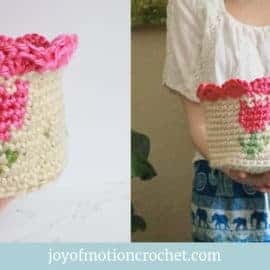 7 Summer Crochet Ideas That Will Make Summer Life Exciting (This article). 8 Summer Crochet Patterns That Will Make You Beach Ready. Throws might be what you’d think of as a true winter project? 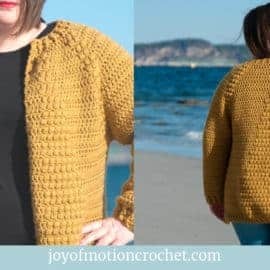 For me it’s for sure a great summer crochet idea, as I’m dreaming of those summer night, sitting outside when it gets a bit cold after a long day in the sun. 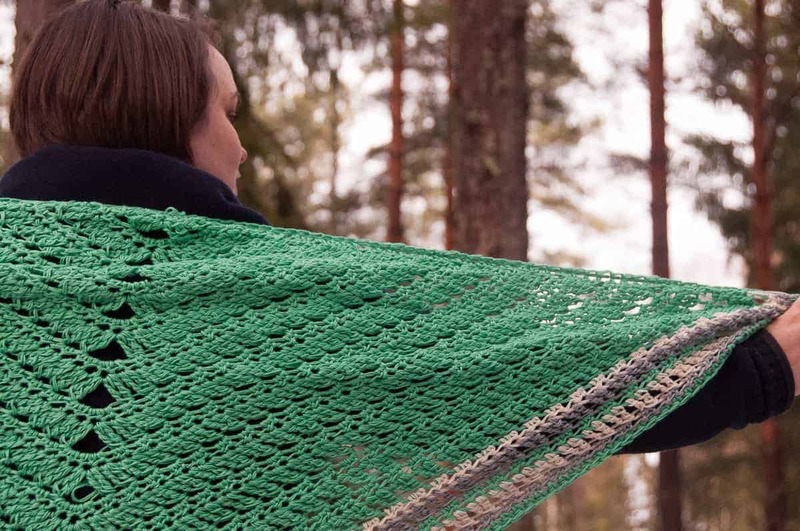 That’s for sure the perfect time to use handmade crocheted throw. On Pinterest I’ve searched for throws & crochet, & I found an amazing free crochet pattern from Krista from Rescued Paw Designs. It’s a striped blanket called the Granite blanket. Granite Crochet Throw Blanket Pattern. Crocheting plant hangers for summer is such a great idea. With this summer crochet idea you can decorate your garden or even indoors with your own personality. It’s often made as macrame, & you might have to pay high prices for them in the store. That’s why it’s even better to make them yourself. The best pattern I found was from Vickie Howel & the crochet pattern is so easy to follow & gives a great result. Plant Happy: Crochet Planter Hanger. Sunglasses are for sure a MUST during summer & what’s not better than crocheting a really cute pouch for your sunglasses? It doesn’t have to be complex. 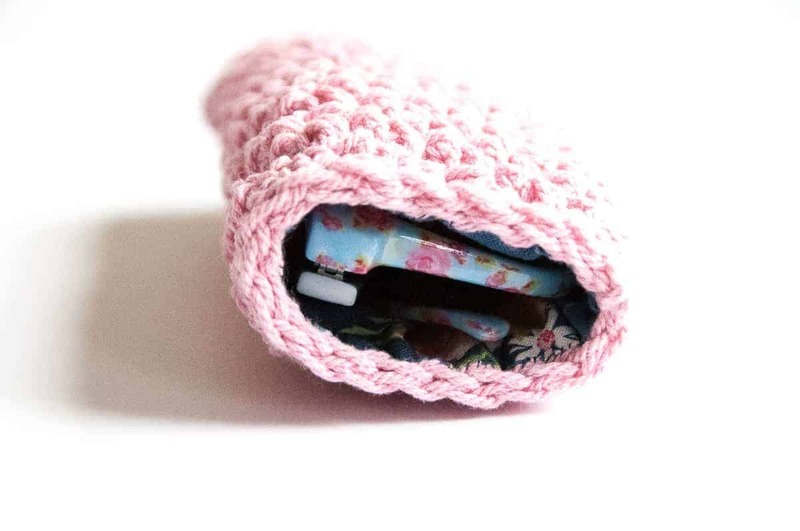 If you use a yarn that’s a little hard, almost like a cord, the case will be even more sturdy. Finally it’s really cute to line them with fabric. Joy of Motion has a couple of sunglasses pouch designs, click below to se more of them. Did you know that you can crochet your own shoes using regular flip flops as the base? It’s really a great & inspirational idea. You can mix it up many different ways to make the perfect summer shoes. The deal is that you make holes around the edge to start crocheting. There’s really one person to go to for amazing patterns using flip flops, & that’s Jess from Make & Do Crew. I really like her lightweight crochet slippers. Lightweight Crochet Slippers With Flip Flop Soles. There’s nothing like a few really great lacy scarves to bring with you on summer vacation or on a day trip. They can be very versatile & be worn many different ways. Like around your hips on your way back from the beach, as a contrast to the more traditional way around the neck. 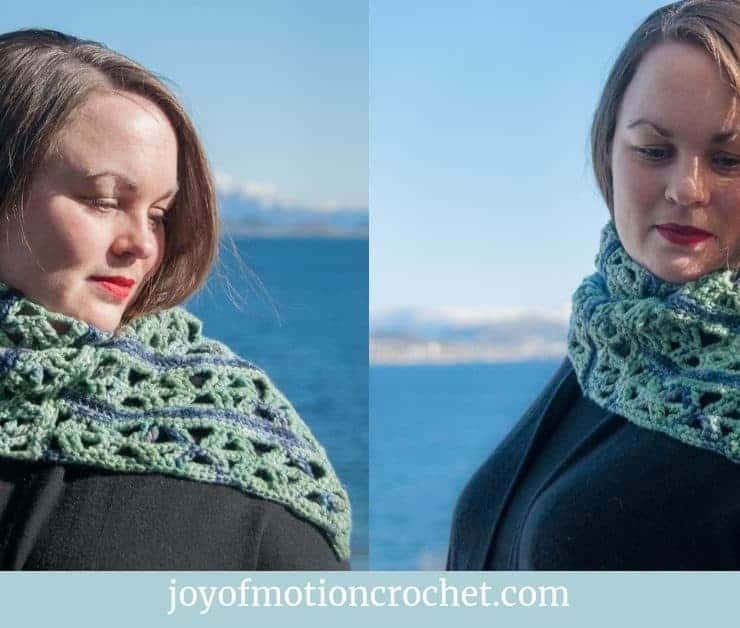 From Joy of Motion you can find at least a couple of crochet shawls, each of them perfect for just the situations described above. 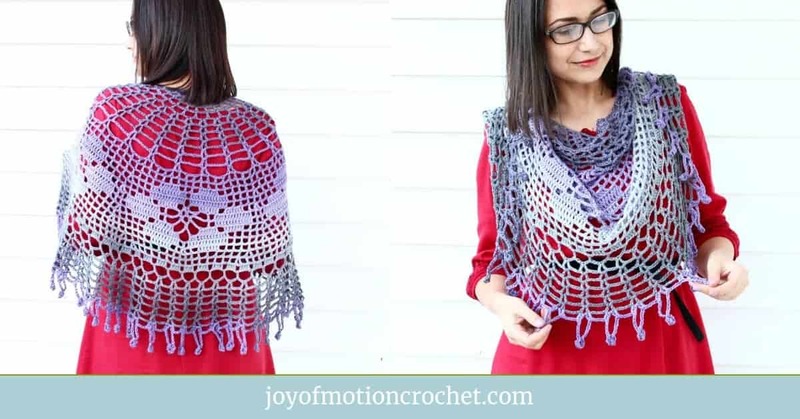 Resource: Decorus Shawl Crochet Pattern Design. Related: Actus Shawl Crochet Pattern Design. A crochet bag is perfect to accompany you during summer. It’s lighter than most other bags & can also be made in any color you’d like. Why not make a white one for summer, or a bright & fun color. Meg from Megmade With Love has made a fun Serape Blanket Bag, that’s amazingly colorful & exciting. Crochet Serape Blanket Bag Pattern. 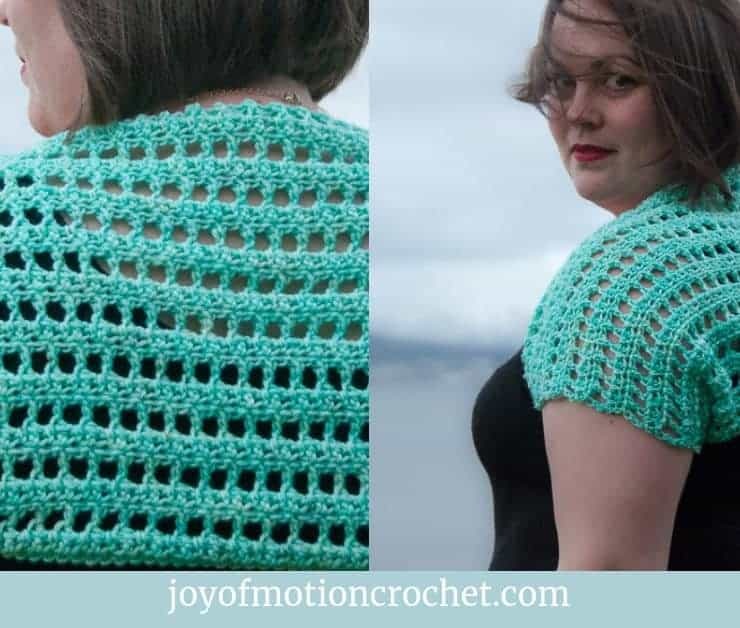 I’ve saved my most favorite summer crochet idea for last! 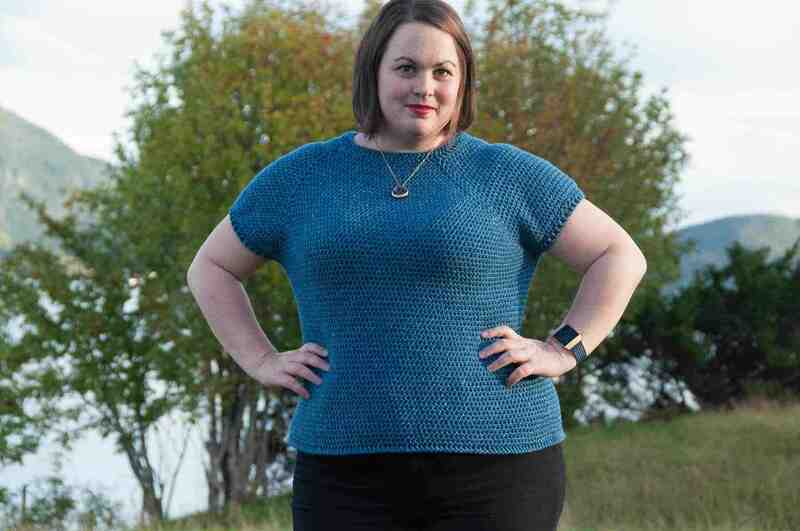 I’ve been enjoying making lacy sweaters each summer for years. That’s also been the crochet patterns I’ve enjoyed making the most. 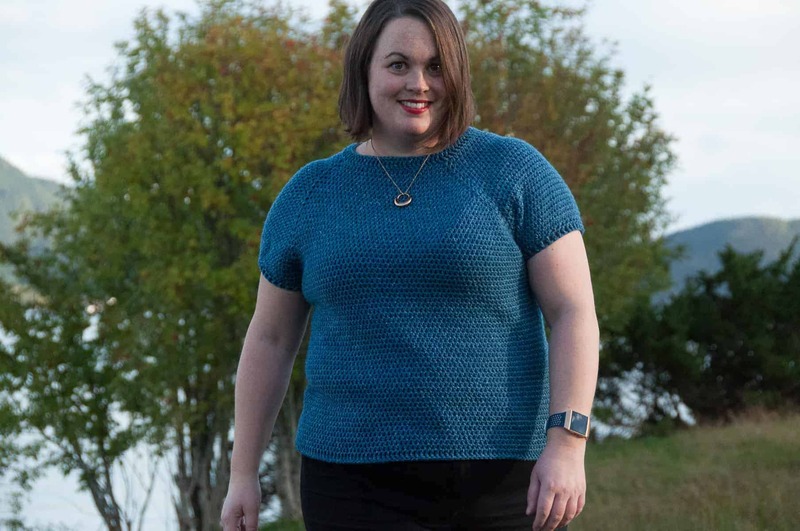 Lacy sweaters are perfect for summer to wear over just a bikini on the way to the beach, but also when it’s a bit more cold during the evnings. 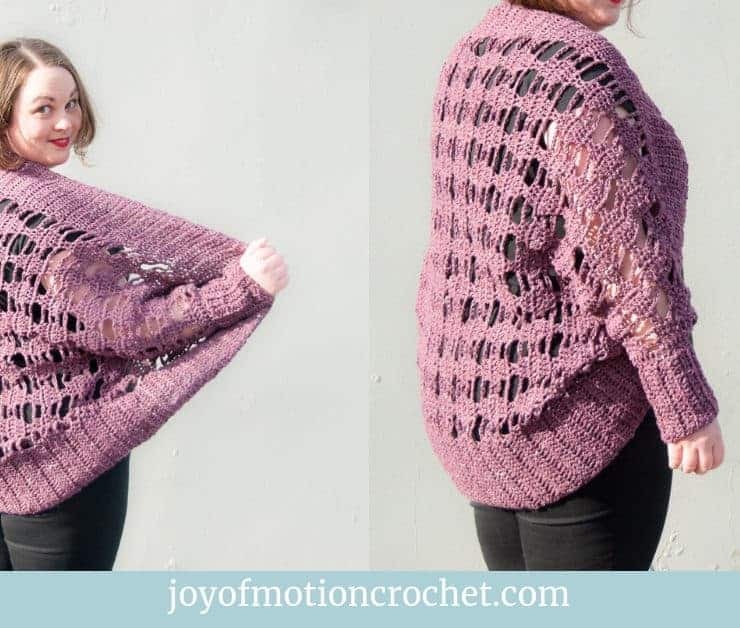 Joy of Motion have got a few lacy crochet sweaters that’s perfect for summer. 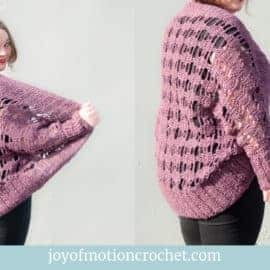 Pictured below are the Coelum Sweater. 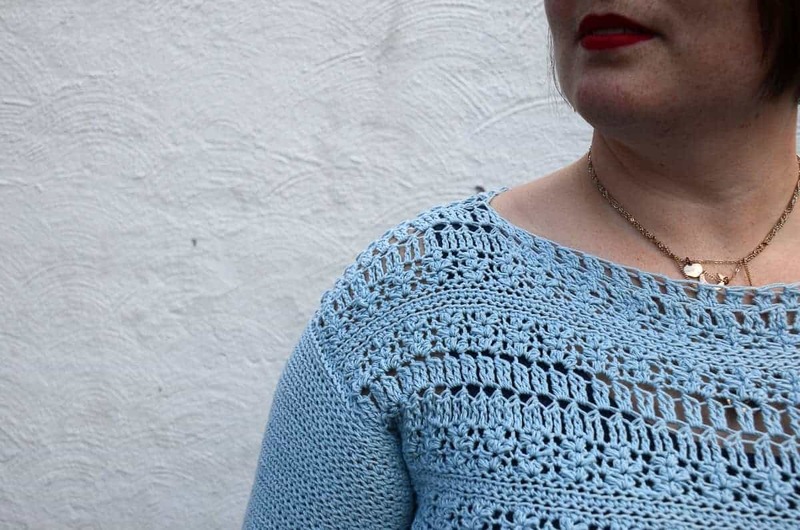 Resource: Coelum Sweater Crochet Pattern Design. 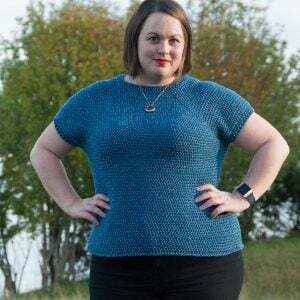 Related: Summer Sweater Crochet Pattern Design. 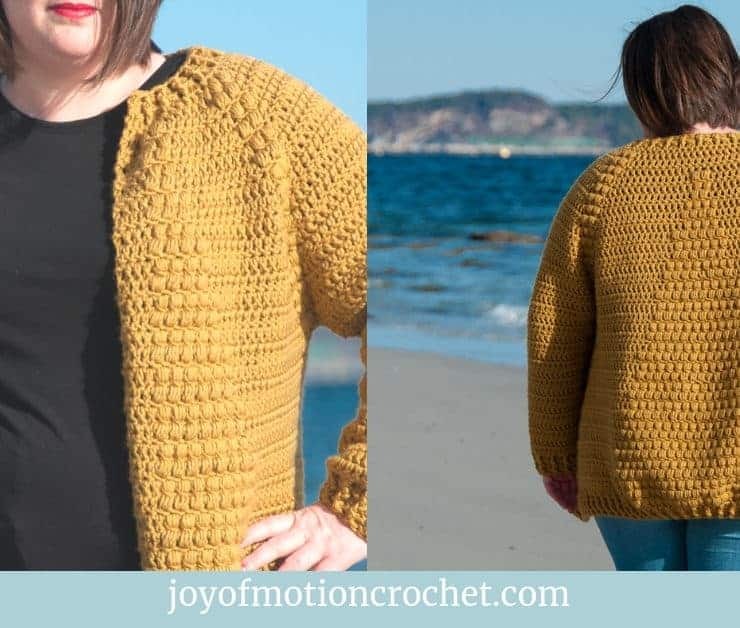 Related: Summer Cardigan Crochet Pattern Design. Hope you loved these 7 summer crochet ideas. 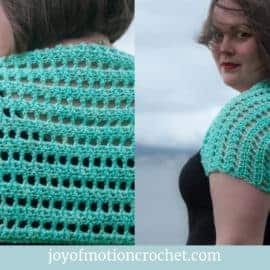 If you have even more summer crochet ideas, feel free to share them below. Sounds amazing with granny square coasters, such a good idea! Sounds so pretty! Love this idea!